The medicinal properties of cannabis are varied given the multiplicity of physiological roles of the endocannabinoid system, a ubiquitous molecular signaling system at which compounds in cannabis have robust receptor-based actions. Here is information on medical cannabis practice policies and procedures, as well as scientific and practice ethics information. Founded in 1982, AHPA is the oldest of the non-profit organizations that specializes in service to the herbal industry. It is the voice of the herbal products industry and the recognized leader in representing the botanical trade. With more than 300 members, AHPA's membership represents the finest growers, processors, manufacturers, and marketers of botanical and herbal products. ASA has created the Patients Focused Certification (PFC) program. PFC is a non-profit, third party certification program for the medical cannabis industry and the nation’s only certification program for the AHPA and AHP standards. PFC is available to all qualifying companies cultivating, manufacturing, or distributing medical cannabis products, as well as to laboratories providing medical cannabis analytic services. PFC offers a comprehensive program that includes employee training, compliance inspections, ongoing monitoring, regulatory updates and an independent complaint process for consumers. One of marijuana's greatest advantages as a medicine is its remarkable safety. It has little effect on major physiological functions. There is no known case of a lethal overdose; on the basis of animal models, the ratio of lethal to effective dose is estimated as 40,000 to 1. Cannabis has immense medical value; we have collected research on cannabinoids and the therapeutic use of cannabis. In-depth information on the use of cannabis to treat HIV/AIDS, Multiple Sclerosis, Arthritis, Gastro-Intestinal Disorders, Movement Disorders, Cancer, Chronic Pain, and issues associated with Aging. State-specific laws that pertain to medical cannabis for medical professionals. Medical Marijuana Access in The U.S.
ASA is proud to announce the 2017 release of our report analyzing and comparing medical cannabis programs across 45 jurisdictions. This briefing book is intended for the members of the 115th Congress and the President of the United States to help them make informed decisions on medical cannabis policy. Americans for Safe Access (ASA) has created this document to educate and inform legislators and regulators of the growing need for an alternate treatment for the millions of patients suffering from pain every day. Medical cannabis patients need patient cultivation for a variety of reasons. This report explains why. The mission of Americans for Safe Access (ASA) is to ensure safe and legal access to cannabis (marijuana) for therapeutic use and research. ASA was founded in 2002, by medical cannabis patient Steph Sherer, as a vehicle for patients to advocate for the acceptance of cannabis as medicine. With over 100,000 active members in all 50 states, ASA is the largest national member-based organization of patients, medical professionals, scientists and concerned citizens promoting safe and legal access to cannabis for therapeutic use and research. 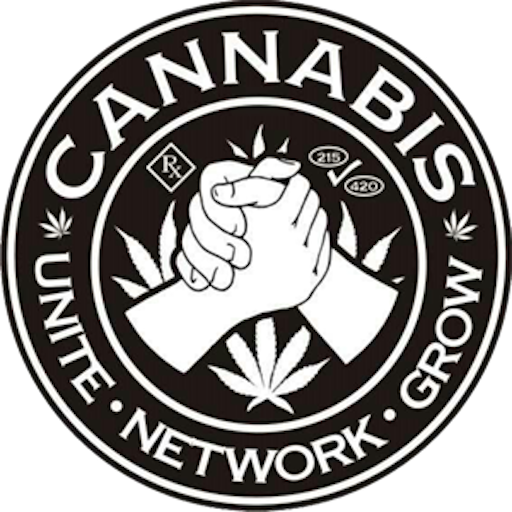 ASA works to overcome political, social and legal barriers by creating policies that improve access to medical cannabis for patients and researchers through legislation, education, litigation, research, grassroots empowerment, advocacy and services for patients, governments, medical professionals, and medical cannabis providers. International, federal and state laws and regulations recognized cannabis as a legal medicine. Medical professionals recommend medical cannabis options as a frontline treatment option or an adjunct therapy. Patients and their caregivers have the information they need to make educated choices about medical cannabis therapies. Patients and medical professionals can incorporate a diverse group of products and delivery methods to create required personalized treatment regimen. Patients can trust labels on products and that medicines are free of pesticides and contaminates. Medical cannabis treatments are covered by insurance. Become a part of history! Join us today. ACTION. EDUCATION. POLICY. CONSUMERS SAFETY. RESEARCH. ASA and our members have moved public policy forward by incorporating strategies across many disciplines. ASA has brought together policy experts, public health experts, attorneys, lobbyists, scientists, industry associations and medical professionals to create the campaigns, projects and programs that have broken down political, social, academic, and legal barriers across the US. ASA occupies a seat at the table for medical cannabis patients in policy matters. ASA changed the national dialogue about medical cannabis. ASA created a global patient network. ASA has passed local, state, and federal laws. 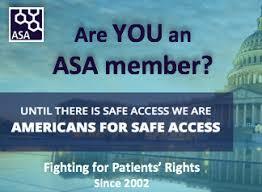 ASA has fought and won in state and federal courts. ASA has provided quality legal and medical education for medical cannabis stakeholders. ASA brought cannabis back into the Herbal Pharmacopeia. ASA has created product safety standards for medical cannabis products. ASA has built the worlds first International Cannabis and Cannabinoid Institute. ASA has trained thousands of patient advocates on civil engagement. ASA has created accredited education programs for doctors, patients, and providers. Everyday ASA staff are on the frontline of the medical cannabis movement working with our members to shape policy and public opinion moving toward our goals. By participating in this movement, you are helping create the future of medical cannabis in your city, state, and nation. By donating to ASA, you can help ensure that we will reach our goals! Until there’s safe access, we are Americans for Safe Access. The American Cannabis Nurses Association (ACNA) and TMCI Global have collaborated to develop the first comprehensive online medical cannabis curriculum for nurses. Topics include the Endocannabinoid System, Dosing, Psychiatry, Medical Risks and Legal Implications. The curriculum features 12 lessons from 11 different authors. To access the three medical cannabis modules in PDF format please follow these links: Medical Cannabis: An Introduction to the Biochemistry & Pharmacology, Medical Cannabis: Evidence on Efficacy, and Medical Cannabis: Adverse Effects and Drug Interaction. Healer.com - Healer.com’s goal is to create a positive and supportive community of like-minded medical cannabis users. We aspire to be your transparent, trusted source of cannabis information, a respected authority on its safe and smart use. Dustin Sulak, D.O. is a renowned integrative medicine physician based in Maine, whose practice balances the principles of osteopathy, mind-body medicine and medical cannabis. Regarded as an expert on medical cannabis nationally, Dr. Sulak educates medical providers and patients on its clinical use, while continuing to explore the therapeutic potential of this ancient yet emerging medicine. 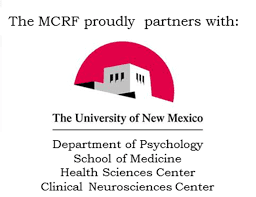 Want to be a Research Participant? 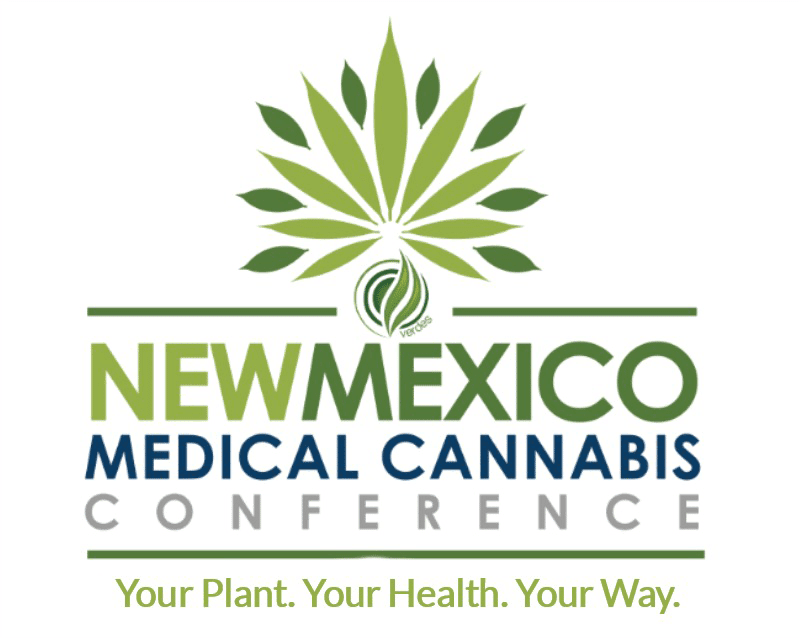 Specific Requirements: Current enrollment as a patient in the New Mexico Medical Cannabis Program. 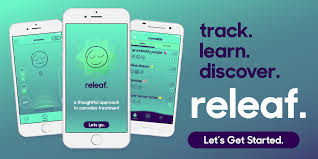 Releaf is a patent pending app that enables you to track your live sessions with cannabis and record exactly how it’s helping you. It can then provide intelligent reporting to help you learn what types of cannabis and intake methods are working best in treating your symptoms. Share these reports with doctors and/or budtenders to discuss your treatment and identify your best options.